Location. 39° 56.413′ N, 82° 0.461′ W. Marker is in Zanesville, Ohio, in Muskingum County. Marker is at the intersection of Main Street (U.S. 40) and North 4th Street, on the right when traveling west on Main Street. Touch for map. 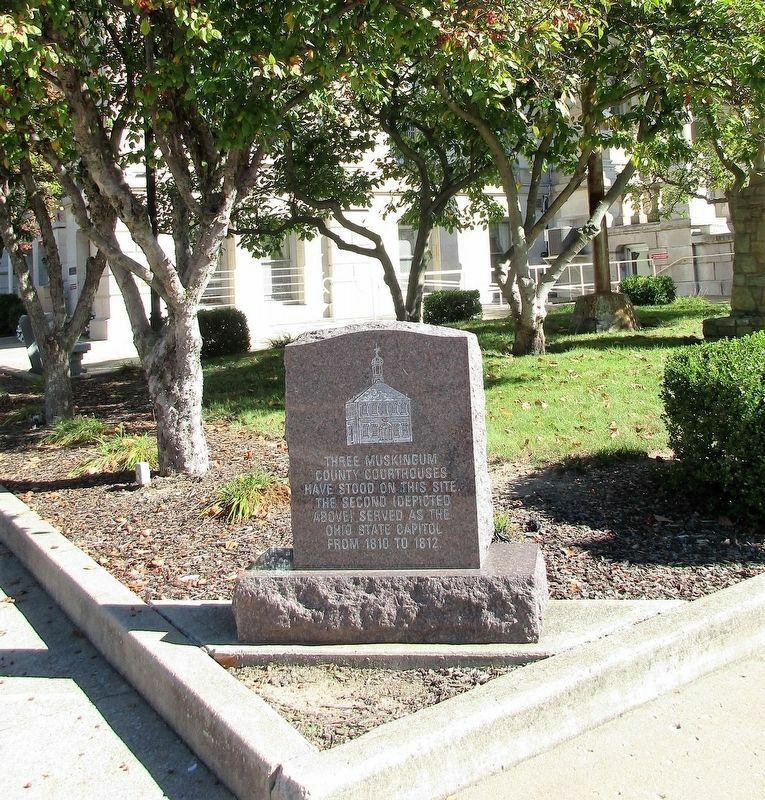 Marker is on the southwest corner of the courthouse lawn. Marker is at or near this postal address: 401 Main Street, Zanesville OH 43701, United States of America. Touch for directions. The Bicentennial Legacy Monument (approx. 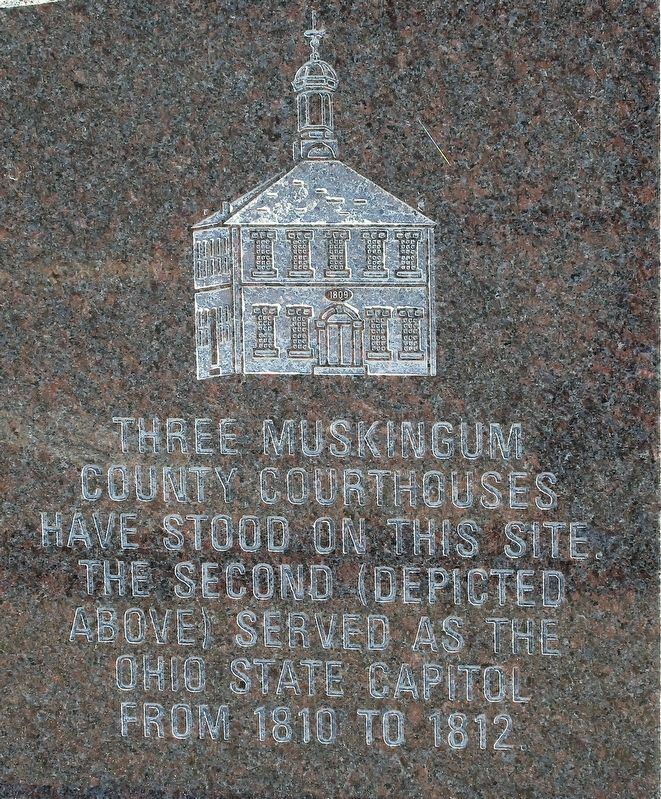 ¼ mile away); Muskingum County Iraqi Conflicts Memorial (approx. ¼ mile away). Touch for a list and map of all markers in Zanesville. More. 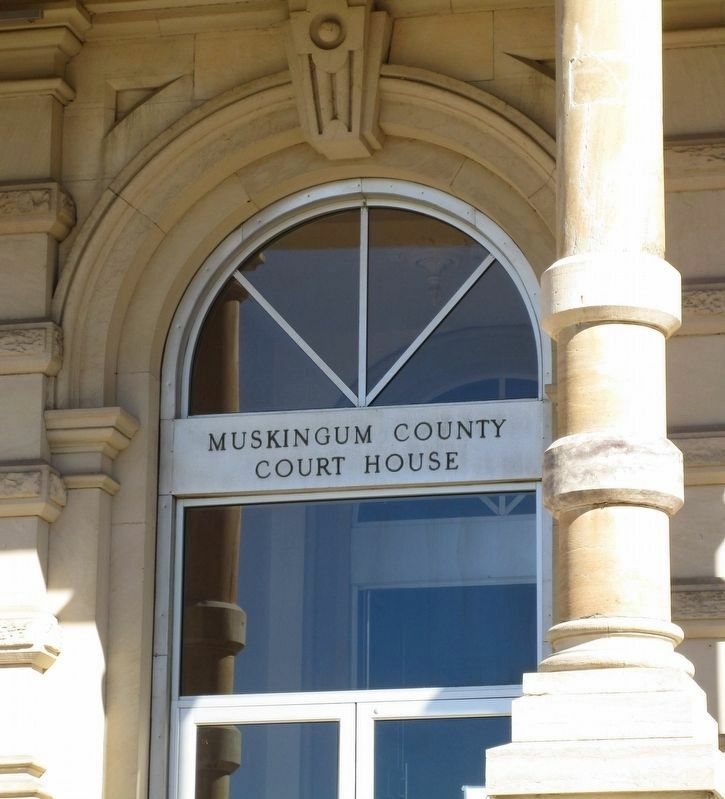 Search the internet for Three Muskingum County Courthouses. Credits. This page was last revised on October 30, 2016. This page originally submitted on October 28, 2016, by Rev. Ronald Irick of West Liberty, Ohio. This page has been viewed 159 times since then and 6 times this year. Photos: 1, 2, 3. submitted on October 28, 2016, by Rev. Ronald Irick of West Liberty, Ohio. • Bill Pfingsten was the editor who published this page.